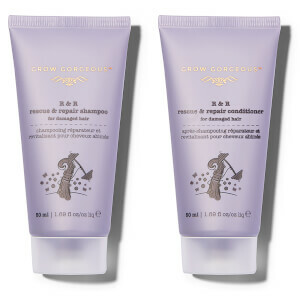 Use the Grow Gorgeous Rescue & Repair Conditioner with the Grow Gorgeous Rescue & Repair Shampoo to reinforce hair fibres, minimize breakage and intensely condition strands. Make weak, brittle hair a thing of the past. Reinforce hair fibers, increasing strength and elasticity so hair is resilient to breakage. I bought the new shampoo and conditioneer. First of all, as I already said it smells amazing. Second of all, it does NOT make my hair greasy at all. It's very lightweight and absorbs quickly into the hair,. I love how soft my hair feels after using this product. 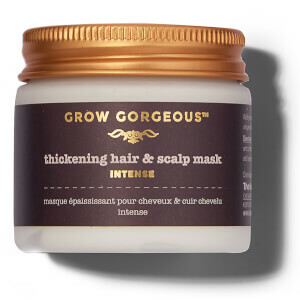 I was recommended to Growgorgeous by a friend and I would not hesitate to recommend it myself. Really love this conditioner, it is great, smells amazing and really de-frizzes my hair. I usually have to use four globs of conditioner to get results, however, with this conditioner, I only use two. I can tell this product really works. The only thing is that I wish there was more product in this bottle. After all the buzz about this product I had to give it a go and my hair feels unreal. So happy I didn't even need to tame my hair this morning it was naturally fab!